​with various best-of-breed providers to deliver a cost-effective solution while putting the customer first. 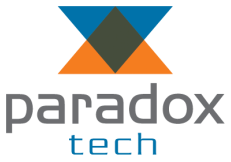 ​Founded in 2015, Paradox Tech, LLC is headquartered in Saratoga Springs in New York State’s Tech Valley. As founder of Paradox Tech, LLC, Chris leads the overall business strategy and vision of the company. Chris founded Paradox to provide enterprises a concierge-level IT and telecommunications service while offering a broad range of solutions tailored to their specific needs. He has over 15 years’ experience in the telecommunications industry in progressively responsible roles with AT&T and as a solution provider. Chris graduated from Boston College with a Bachelor of Science in Finance and a minor in History. When he’s not working with clients and spending time with his family, Chris can be found in a local coffee shop plotting his next adventure to fuel his wanderlust. Kevin is a seasoned veteran of the telecommunications industry and plays an integral role in the day-to-day management of our partners and customers. He is focused on maintaining long term client relationships through superior service and is trained in solution selling to maximize the benefits of technology developments. Kevin’s vast experience includes various technologies such as MPLS, cloud services, security and telephony. Kevin graduated from Boston College with a Bachelor of Science degree in both Finance and Philosophy. Based in Southern California, Kevin loves global travel and we’ve never met anyone who’s acquired as many frequent flier miles as him – 700,000 and counting to 1 million! Alexis oversees sales support operations and business details for Paradox Tech, LLC, including finances, human resources and marketing. Experienced in account management (and running after three kids! ), she is adept at juggling a multitude of details in a calm manner. Alexis brings over 10 years project management and marketing experience to the company in both client and agency roles developing sales-driven as well as pro-social advertising campaigns. She graduated from Boston University with a Bachelor of Science in Communications and the State University of New York at Albany with a Master's in Public Health.